A-Z Challenge Curiosities Did you know...? Do you remember Tetris? Have you ever played it? – Come on, who fancies a game of Tetris? The person who loses will milk the cows. 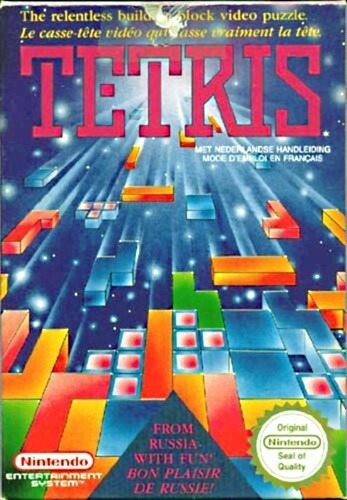 Tetris was probably the first computer game I’ve ever played and it was late 80’s then. Apparently it was created by a Russian guy called Alexey Leonidovich Pajitnov in 1984. Well, he certainly provided us with entertainment. I think my son had the game I can’t remember if I played it. Games when all a bit like then when we first got a computer an a Atari. I think the best thing about Tetris was that it helped take away the fear of working on computers, which used to be the point of games. Now, of course, games have become so sophisticated! Come visit when you can.